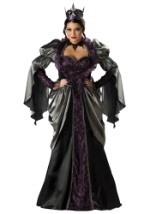 Show that you refuse to be left out when you wear this Plus Size Malevolent Witch Costume. 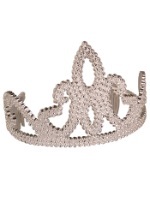 It includes gown and headpiece, both made out of 100% polyester interlock knit. The all-black headpiece is a full hood that fastens under the chin with Velcro. 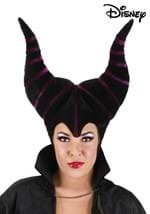 It has two large stuffed horns on top and a widow's peak at the forehead. 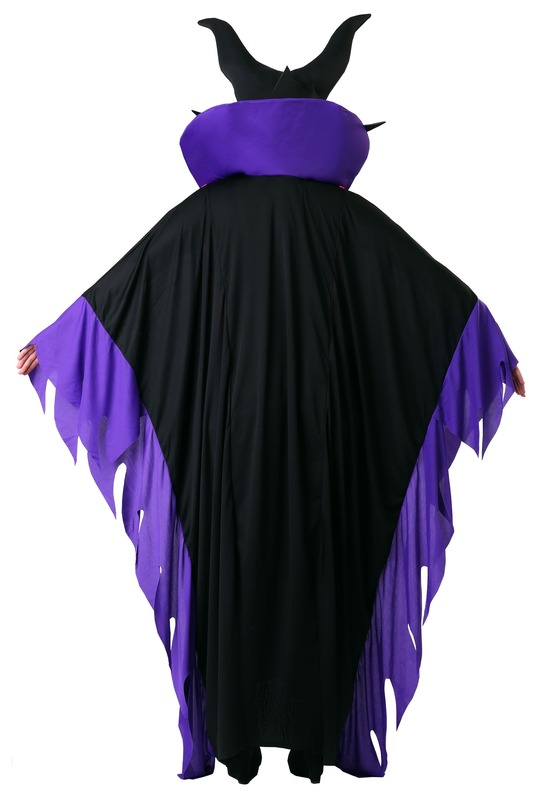 The pullover gown is full and draped with wide sleeves, a V-neckline and large purple stand-up collar. The inside of the collar has several black felt spikes. There are two royal purple crushed panné stripes down the middle of the gown like a stole. 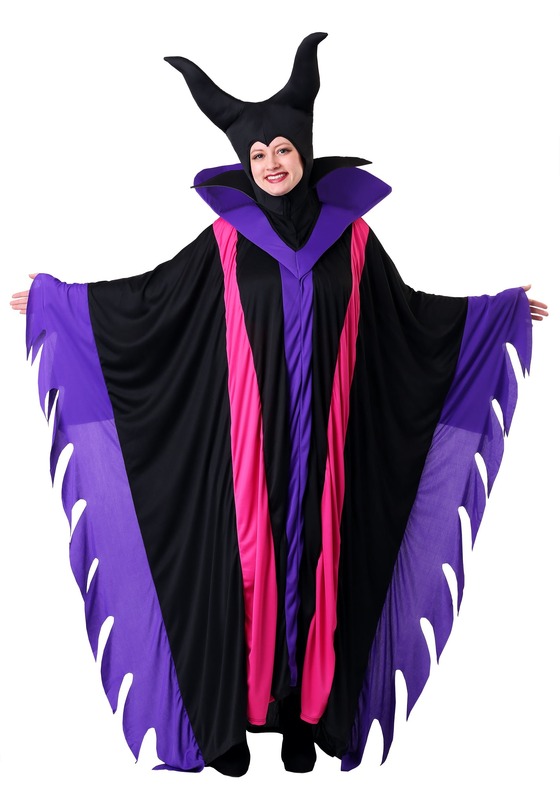 The sleeves and side seams of the gown have purple crushed panné inverted waves sewn into them. 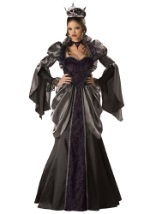 Get ready to cast your evil spell!